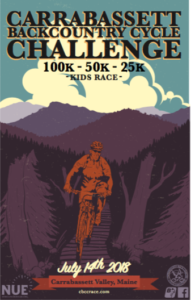 The 9th annual Carrabassett Backcountry Cycle Challenge (CBCC) is part of the National Ultra Endurance Series and is the largest yearly fundraiser for the Carrabassett Valley trail network. We had a great 2018 race with nearly 500 participants – looking forward to 2019! You can visit the CBCC Facebook page to see photos and stay in touch with what’s happening with the race. 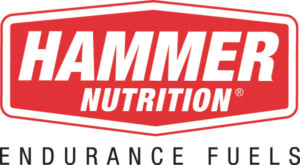 Aid stations are available approximately every 15 miles in the 100k. Drop bags can be left for each aid station, additional details will be provided at the venue the night before. While the final course is subject to change, these maps from past races are close to what you can expect this year. View the 2017 course on Strava. 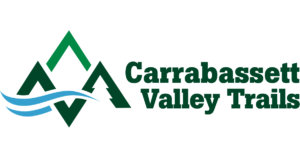 Plan to make it a weekend in Carrabassett Valley; ride the new single track at a relaxed pace on Sunday with your family or friends or for a change of pace, hike up the Burnt Mountain Trail or to the summit of Sugarloaf. You can hike or bike to one of the Maine Huts & Trails huts or visit Sugarloaf Resort for a chairlift ride, zip line ride, or to rent a kayak or paddle board to explore Flagstaff Lake. Your CBCC race entry fee includes free car and tent camping at the Sugarloaf Outdoor Center. Car camping will be in the lower parking lot area and tent camping in the “stadium” field (no cars on the field). Please note, there is a limited number of car camping spaces at the venue (first come, first serve). If you prefer to book a room, we’ve included local lodging options below. Book early for best availability. The Herbert Grand Hotel – Kingfield 207-265-2000.